Policing InsightNewsPolice ICT users: We need your views! Are you employed by a UK police force? We would like to invite officers and staff to take part in CoPaCC's second annual Police ICT User Survey 2018. Get your views heard by those managing, delivering and planning the information and communications technology (ICT) critical to your role. Take part to help improve your ICT provision and for the chance to win the latest Apple iPad! CoPaCC launches the second annual Police ICT User Survey. The survey collates frontline perspectives from police officers and staff on the provision of police ICT. 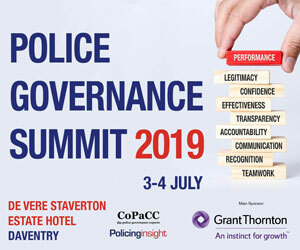 The results and analyses are revealed in the annual Police ICT: User Perspectives Report published on Policing Insight and delivered to key stake holders such as police force management teams, Police ICT Company, NPCC and of course the supplier community who deliver the systems you use. Computers are as much part of policing as handcuffs and radios, but how well are your ICT systems working for you? Frontline users are best placed to feedback on the challenges with existing ICT provision as well as providing insights on future requirements – were you and your colleagues consulted about ICT projects implemented in your force? Would they have worked better with input from the frontline? Your voice is key to improving current and future ICT provision. The good news is that both the supplier community and your representative organisations want to hear and understand your perspectives via an independent survey and report. The Police Federation, the Police Superintendents’ Association and the Association of Scottish Superintendents are active supporters, delivering the survey to their members and using the results to campaign for more effective and joined up police ICT systems that work for you; improving policing outcomes and working conditions. 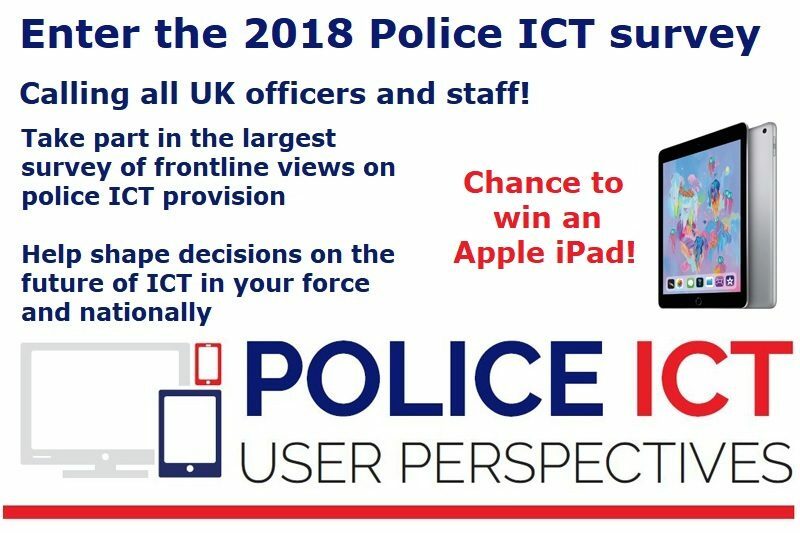 We’d very much like to hear your perspective which is why we’re asking you to spare just a few minutes of your time to complete our second annual Police ICT User Survey. Yes, another survey! But this one is different, because your opinion really does count. Our first survey was completed by hundreds of officers and was read by the highest levels within the police service, Government and private suppliers to the police service. We know it has helped shape thinking on the development of police ICT. The core questions in the survey were developed in partnership with the Police ICT Company with the support of the Police Federation of England & Wales (PFEW), the Police Superintendents’ Association (PSA) and the Association of Scottish Police Superintendents (ASPS) who will be promoting it to their members. CoPaCC’s Police ICT User Survey collates the views of those at the sharp end of police ICT systems and presents its findings to senior police stakeholders and commercial ICT companies. For an accurate picture of the frontline perspective on police ICT it is critical that we get feedback from all ranks, seniority and roles of officers and staff. The greater the response the more the report will influence those making decisions on your behalf for the provision of ICT in your force and nationally. If we’ve already done a survey, why are we doing it again? Most surveys are just a snapshot of what is happening at that particular moment. Our annual survey is designed to record and measure progress (or otherwise) over time to help ensure you have the right IT tools to do your job. I took part in last year’s survey. Do I need to take part again? Absolutely. If you took part in the 2017 survey, it is even more important that you take part this year and tell us what, if anything, has changed in your force over the 12 months. The 2018 survey is open to all employees of any UK police force – both officers and staff. 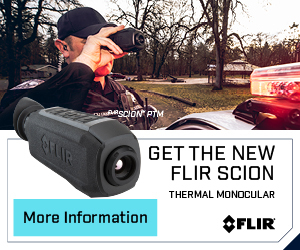 How will my response data be used? Your anonymous responses will analysed and published in the CoPaCC Police ICT: User Perspectives 2018 Report which will be shared with all the main stakeholders in policing including the representative organisations, College of Policing, HMICFRS and the Police ICT Company. The report results will also be shared with the supplier community via presentations at key events. In addition,the report will be published on Policing Insight, providing visibility to the wider police and criminal justice community. Simon Kempton, Interim Nation Board member at the Police Federation of England and Wales, explains why the 2018 Police ICT User Survey is an important initiative. “The Police Federation are happy to again be supporting the Policing Insight ICT Survey. It is the frontline officer who uses the ICT equipment they are given, and it is that officer (and by extension, the public) who suffers when the equipment lets them down. It’s only right, therefore, that those officers now finally have a voice in influencing the direction of Police ICT, to ensure it is fit for their purpose. This is what the survey offers those officers. For the first time they are able to express the true picture where they work. It is important, then, that they are listened to. The reach of the survey also facilitates that, with Police and Crime Commissioners such as Matthew Scott of Kent understanding the value of that voice from the frontline as they struggle to achieve best value from dwindling budgets. The survey gives representatives from the Police Federation hard data to take to those PCCs and Chief Constables, giving them a firm evidence base to push for positive change. Police Superintendents’ Association of England and Wales Vice President, Chief Superintendent Paul Griffiths, says the annual survey will complement the police service’s efforts to improve technology. “Consulting officers on their views and attitudes is always a very powerful starting position. “I hope this independent survey will highlight Police ICT good practice, as well as areas to improve. Sharing good practice across forces can save time and improve consistency and efficiency of service – and that is where data collection can be so powerful. “The annual approach of the Police ICT User Survey will start to build up a volume of feedback that could really enhance and support future developments – continually striving to ensure all officers have the right technology to deliver the best possible service”. Chief Superintendent Ivor Marshall, President of the Association of Scottish Police Superintendents (ASPS) described the survey as a significant piece of work that would ‘enable policing services in the UK to accurately take stock of where they currently are with their ICT capability’. “The Association of Scottish Police Superintendents (ASPS) has been fully supportive of this study in order that we can fully understand the true ‘as is’ picture of ICT provision for superintending ranks. The results make for interesting reading, especially the force specific information and the benchmarking data which shows the class leaders and those from whom we can learn and develop best practice.